The Nashville Rocks Artist Showcase is intended to shine the light on independent artists in and around Nashville and the Mid-South. The First Nashville Rocks Artist Showcase is none other than Of Saints and Sailors. 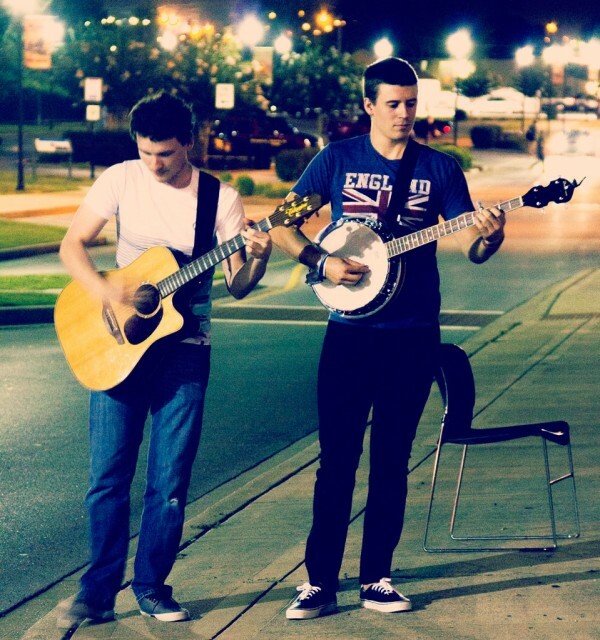 They are a brand new band and looking to hit the ground running. I recently got the opportunity to sit down with this new, eclectic, quirky, fun duo by the name: Of Saints and Sailors. Sitting across the table from Patrick Berhow and Joe Dionne I clearly got the vibe that they are serious about their music and style and love to have fun on stage. I asked who they were and what part in the band they played. 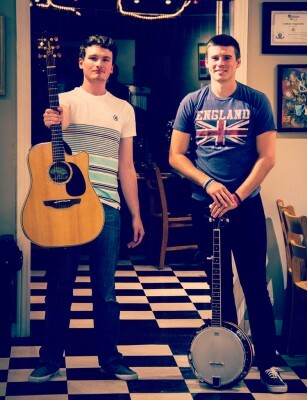 Patrick is the lead vocalist and plays banjo and Joe Dionne plays guitar and provides backup vocals. They are Of Saints And Sailors.